Good Lawyers. Changing Lives. At Burg Simpson, it’s not just lip service. 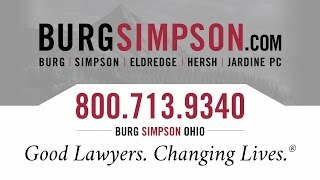 With over 50 attorneys on staff, Burg Simpson provides nationwide legal representation. Our lawyers will fight for your legal rights and hold negligent corporations and individuals accountable for their actions. But don’t just take our word for it. Watch the videos below to see some testimonials from satisfied clients. “The first day we left…I told my wife, ‘It looks like we don’t have to worry. They will do the worrying for us’.” – Oscar M.
“I would hate to think of where I would be today without Burg Simpson.” – Chris S.
“I went from the worst year of my life to the best year of my life, because of Burg Simpson.” – Steve T.
“They (Burg Simpson) explained how I get through the process… the settlement that I would possibly be looking at… and it turned out to be even better than that.” – Jacob G.
“There was a significant difference between the law firm of Burg Simpson and all the other law firms.” – Melissa M.
Thank you so much for what you did for my son. I can't thank you all so much. I would give 10 stars if I could! My experience with this firm has been absolutely fantastic. They kept me apprised of everything going on in my case and were pleasant to work with. I had a class action lawsuit against myself and my former company. My lawyer, Paul Friedman could not have been more professional and steadfast when dealing with my case. Paul kept me up-to-date on a regular basis and answered every question I had. He was straight to the point and allowed me to feel absolutely comfortable that he was handing my lawsuit. I cannot recommend Paul Friedman and BSEH&J enough for the great service I received. Thank you so much! Burg Simpson Eldredge Hersh & Jardine, P.
I would choose this Law Firm I have nothing but the up most respect for this firm. If anyone would ask for such a firm this would be the one i tell them to choose. If i could give 10 stars i would thanks for your help. They worked hard, and with persistence for my son. We are extremely grateful. Very informative firm, keeping me the loop. Office staff very easy to work with. Janet and Melanie always available. Asked all my concerns. They are a great group of lawyers that really care. They took care of everything for me , was very compassionate and always kept me up to date about my case. I would definitely recommend them to anyone in the future. Great job!! Janet has a long track record of success and works tirelessly for her clients. I highly recommend this firm. Burg Simpson is the best , Mr, S Marsh is the top an attorney...Get helps with Burgsimpson is the right choice. They were always there for me and I appreciate all they have done for my son and I. They have been there every step of the way, always keeping me informed of new changes and always having my child's best interest at the heart of this case. The ins and outs of Workers' Comp would make most people give up and drop the case. Stephan Marsh fought for me and got more than we'd expected for my shoulder injury. He really made me feel that I had worth when the other side was trying to make a mockery of my case. Thanks Burg Simpson for all you did for me! I have all the praise for Burg Simpson. I used Stephen Burg and Jessica P. for my collision case. The kid caused my collision came from a family with money and his insurance company was really trying to screw me over. After a long road and lots of physical therapy, I was eventually able to get better. Stephen, Jessica, and my paralegal Tara all advocated for me every step of the way and I feel I got everything I was owed. Thanks Burg Simpson! 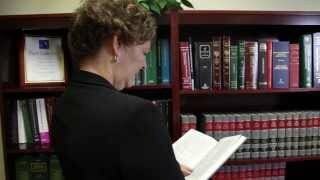 Exceptional, experienced attorneys who work hard to win. Angela was an amazing lawyer. She was compassionate, and I felt like she advocated for me, the client, for my best interests. If ever I had a question, Angela and her team were always quick to respond. I would definitely recommend Angela!